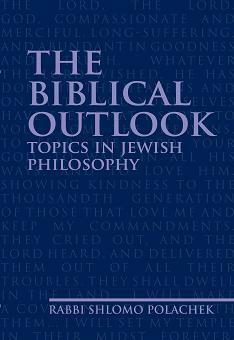 With Shavuot just around the corner, it seems like an appropriate time to review The Biblical Outlook – Topics in Jewish Philosophy by Rabbi Shlomo Polachek. Rabbi Polachek’s goal is to explain Jewish philosophy untainted by non-Jewish sources. The aim of this book is to present the philosophy of Judaism. The reason for writing it is the search for a philosophy based on clear and unequivocal Jewish sources. 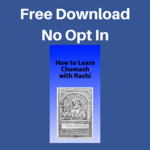 These sources are the Biblical books along with the halachic midrashim – the exegesis of the text relating to Jewish practice as set by the sages. The topics chosen were among the most important ones in Jewish philosophy: understanding God and His ways, and His expectations of human beings. The first chapters focus on God, the way He relates to the world and the way He is revealed to people. Afterwards we describe God’s demands of people. The last chapters discuss various aspects of the way God relates to people. So, let’s compare these definitions with Rabbi Polachek’s stated goals. It is clear that Rabbi Polachek is mostly interested in definition #3 – those ideas which guide a person’s behavior. He dips into definition #1 at times, such as in the chapter on Reward and Punishment, but mostly he stays away from it. I think it’s an unfortunate choice. This book is suitable for everyone regardless of their learning background since all Hebrew texts have been translated into English. The Biblical Outlook can be used in two ways. 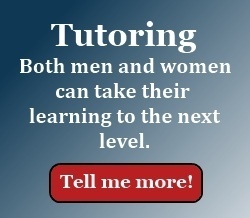 The easiest way is to find an interesting topic in the table of contents and turn to it. Each chapter and sub-chapter begins with a brief overview. Also, each chapter concludes with a summary. Within each topic Rabbi Polachek has invested a lot of time and effort to find the applicable verses throughout all of Tanach. The verses are not merely listed, but are either fully quoted or summarized. The other way to use The Biblical Outlook is to begin with a verse that you are interested in studying. Look up the verse in the index. You will then be directed to the page(s) where all the other relevant verses in Tanach are discussed. As you would expect, not every verse in Tanach is quoted. Also, some verses fall into more than one topic. As I already mentioned, The Biblical Outlook has an index of verses. However, the book does not include a subject index. I suppose the author and publisher considered the table of contents to be an adequate guide for finding topics. A book that deals with so many topics, must have a detailed subject index. If your topic happens to be one of the those that made the table of contents, then you will have no trouble finding it. Also, if you already know a verse that deals with your topic, then you can look for that verse in the verse index. If your topic falls somewhere in between, then all you can do is guess which chapter it might have been covered in. For example, suppose you are interested in what the Torah says about how to treat animals. It’s tough to know if this book even touches on that topic. If it does, then it might be under Creation in Chapter 3. Then again, it might be somewhere in Chapter 5 – God’s Commandments. Despite its shortcomings, I can see a real value for The Biblical Outlook as a reference tool. If you are studying a topic starting with sources in Tanach or giving a shiur, I think you will find this sefer useful. For the weekly shiur I give, I’ve found the verse index to be very handy. I’m going to keep this book near my desk as a handy, quick reference guide. The Biblical Outlook – Topics in Jewish Philosophy by Rabbi Shlomo Polachek. Published by Urim Publications / Penina Press. Originally published in Hebrew as Hashkafat HaMikra. Disclosure: I was given a review copy of The Biblical Outlook by the publisher. Please share this post with your friends on Facebook.